Brennan’s tweet triggered a long thread of responses. When the journalist and Cuala hurler Shane Stapleton responded by asking if Dublin’s style was that much different to most other teams, Brennan was firm with his answer in two separate tweets. ‘We all get the winning & results side of things but if skillful hurlers are gonna get smothered and choked by numbers, people will not go to games. Rugby with hurls, no thanks. It was one of the hardest-hitting league games in years. The statistic for turnovers-in-possession underlined as much, with a colossal 41 over the 70-plus minutes. That smothering and suffocating style doesn’t exactly appeal to the purists but beauty has many different forms. And beauty has always been in the eye of the beholder. That old saying, which first appeared in Greek in 3rd Century BC, still holds true. But the question is why are they doing it?? "It wasn’t pretty at times," wrote Anthony Daly in his Irish Examiner column. "It was hard-hitting throughout, ferocious even, but I love those type of games. Some connoisseurs only want the high-scoring carnivals but there is real beauty too in the manliness shown by both teams." Daly also made one other excellent and pertinent point regarding the game's tactical style: "Limerick’s half-forward line have been playing deep for the last two years, and savaging guys in the middle third, but Dublin met them head on. Limerick’s three half-forwards were taken off but Limerick are allowed to be tactical because they have won an All-Ireland. Dublin then are nearly not allowed to be tactical because they haven’t Celtic Crosses." There are numerous strands to this debate but the dominant one is that the All-Ireland champions template is invariably copied the following season by most teams. And the subtle style-change throughout this league has largely come from those teams plotting to try and beat Limerick. There has been a move to greater physical presence, and physicality, in the middle third. 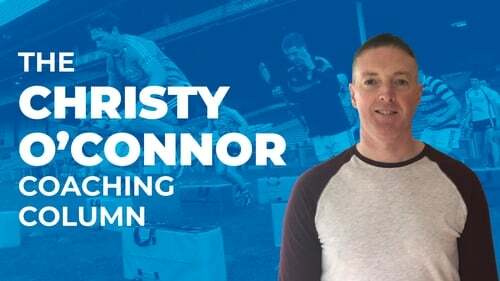 That has largely formed the basis of modern hurling for over a decade but, with half-forward lines coming deeper again this spring, before looking to break forward with massive pace, the congestion in that warzone has never been greater. The corollary has been more fractured hurling, less flow, less quality. The decreased scoring trends from last season further reflect as much. Apart from the league being diluted through having no relegation from Division 1A, or promotion from 1B, another primary reason for the drop in standards this spring is that the new championship structure has altered everyone’s thinking. Nobody really knew what to expect last summer but everyone does now. And that absolute necessity of peaking for May and June has completely reduced the relevance of the league for most teams. Anytime the quality drops in hurling, or a negative style seems to be taking hold, the reflex response amongst hurling people is to worry about the direction the game is taking. That might sound ludicrous after the exhilarating drama of last summer but it’s less than three years since the game was deemed to be at a critical crossroads. Attendances were down. Apathy was rife with where hurling appeared to be headed. The 2016 Munster championship was abysmal but that trend wasn’t happening in isolation because there were only five high-profile games in the 2015 and 2016 championships (combined) that could compare with the consistent brilliance of last summer. Much of the hurling in 2015 and 2016 was more clinical because teams didn’t want the ball to be contested in the air or on the ground. But that process can be cold because it doesn’t engage the crowd as much. And by the end of 2016, the cooler temperature running through the game was chilling for hurling people. The game had changed primarily because the set-up and structural grid has been so radically altered. Sweepers were in vogue (even Cork played a sweeper against Tipperary in 2016) but with so many extra bodies in defence, loose players, short puckouts and uncontested clearances became a key characteristic of the modern game. And those style changes had created an increasing disconnect between supporters and many modern coaches. Much of that template was inadvertently designed by Kilkenny, not because Kilkenny drew up the plan, but because teams had to try something different to beat them. Kilkenny set so much of the modern agenda because they forced others to try and think their way around them. Not every team was being ultra-defensive but that was still the great riddle facing hurling’s chasing pack before they eventually caught up with Kilkenny – did you stick to your system, be hard to beat, hang in there for as long as possible, and give yourself a chance down the home straight? After Tipperary blitzed Kilkenny in the 2016 All-Ireland final though, the ground-rules changed again. Managers, coaches and players began to trust themselves more and just go for it. The upshot was that the 2017 and 2018 championships were the highest scoring in the game’s history. Hurling has the balance right again. Randomness has always been a fundamental part of its appeal, but the modern game has been all about reducing that influence. The best teams now are tactically fluid and adaptable but with such an increased focus on strength and conditioning, such a premium on tackling, and so many bodies in the middle third, more congestion can create the kind of tactical headlocks witnessed from Dublin-Limerick on Sunday. That stuff can make hurling look the very antithesis of the game it's supposed to be but, in any case, Limerick eventually extricated themselves from that headlock with their class, quality and firepower up front. Limerick have the best panel in the country now but they also have the balance just right. They are extremely tactical. Limerick are highly defensive in how they set up but structural planning is the most logical way to marry expression with results in the modern game. Another key strand to this whole debate is, with the strength and conditioning culture increasing every season, and players becoming more powerful, skill levels have never been higher. Because players need to be able to execute those skills faster than ever before being swallowed up in the tackle. Limerick’s increased upper-body power and physique has been obvious this spring but it hasn’t diminished their skill levels; as Dublin repeatedly tried to wrap them up on Sunday, Limerick players were able to get the pass away, or the shot off, in spaces tighter than a crammed phone-box. The manner in how Dublin tried to stop Limerick reaffirmed the trend of how, rightly or wrongly, studying the All-Ireland champions has always been the thing to do. The quality on show to date this spring hasn't always been pretty but, even with the obvious style change and more congestion in the middle third, hurling is in a much different place now to where it was in the middle of 2015 and 2016. One team isn’t dominating anymore. Most counties firmly believe they can win an All-Ireland. Confidence is up while every team will reach a totally different level when they arrive into the Championship. And even if the hurling is not as beautiful over the summer as it was in the 2018 Championship, beauty has always had many different forms. And it’s always in the eye of the beholder.